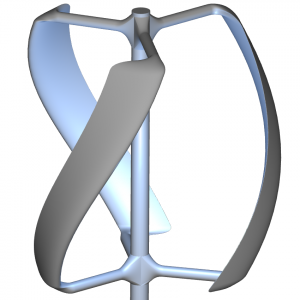 FRIENDSHIP SYSTEMS investigated the aerodynamic behavior of a vertical-axis wind turbine (VAWT) in collaboration with the US-based company Pointwise. A summary of this work is given below. In a first phase of what should be a multi-phase effort, FRIENDSHIP SYSTEMS was able to demonstrate successfully how to automate mesh generation with Pointwise, integrate Pointwise into CAESES, and use the two (along with other tools) to optimize in 2D the VAWT. The mesh of the 2D geometry was created with Pointwise. This software allows you the generation of high quality meshes and is able to run in batch mode with the help of Glyph scripts. For beginners, the creation of the scripts is easy because it can be recorded during the set up. For more experienced users the scripts can be written directly, to get more compact and robust scripts. Best practices suggest that a hybrid mesh would be the preferred choice. This consists of a structured mesh around the airfoils to resolve the boundary layer, which is needed for the selected turbulence model, and an unstructured mesh in the far-field. The CFD calculation was done with the open source toolbox OpenFOAM 2.2.0. The computations are transient with the sliding mesh approach in the rotating region. 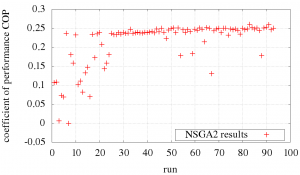 Due to turbulence and separation effects at the airfoils, the k-omega SST turbulence model was selected. This model combines a good description of the fluid effects near the airfoils as well in the far field. The solver was pimpleDyMFoam with a fixed time step of 0.0001 s. The interface is from the cyclicAMI type. The forces and torques are recorded during the calculation, so that the torque can be extracted after the simulation. 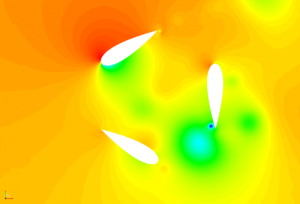 The simulation of two VAWT revolutions took around 2 hours and 15 minutes. Typical flowfield images are shown for pressure followed by velocity. CAESES is able to use the scripts of Pointwise and OpenFOAM in order to run an automatic variation and optimization study. Therefore, two “Software Connectors” are used (not to be confused with Pointwise’s connectors), with one for each program. The first software connector exports the IGES geometry file and runs the Pointwise script. The result files are the exported Polymesh files for OpenFOAM. These files are then linked to the second software connector for OpenFOAM. The optimization was done with a wind velocity of 10 m/s, a tip speed ratio of 0.5 and a radius of 0.6 m. The following design variables were chosen: pitch angle, camber, camber position, thickness, chord length. The best design had a COP (coefficient of performance) of 26%. 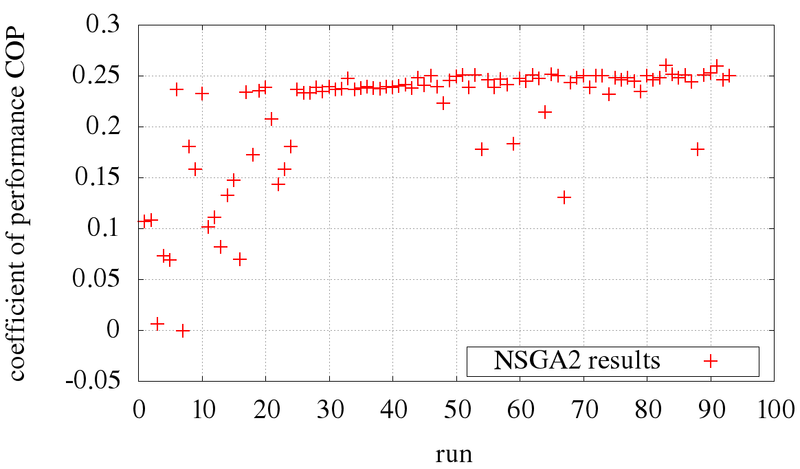 The famous NSGA2 algorithm was used in this study. The study created a prototype of an optimization process for VAWTs, centered on CAESES, and using the commercial mesh generator Pointwise along with open source software OpenFOAM. The next step will be to extend the analysis and optimization to 3D. 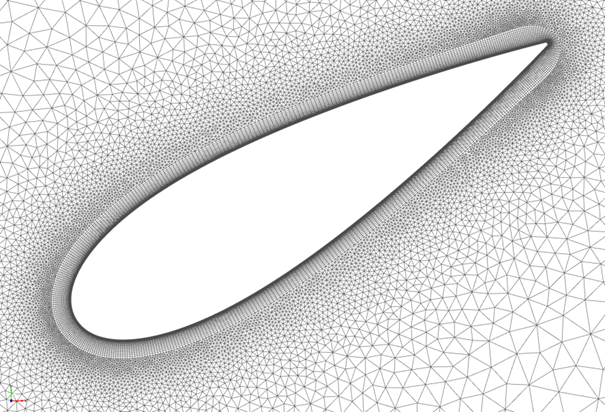 For more detailed information about this optimization see also this post in Pointwise’s blog.